Louis Youngblood, aka “Gearshifter,” is a Jackson-based guitarist and vocalist who performs a unique blend of country blues, modern soul-blues, and everything in between. Youngblood was born in Picayune, and grew up in Jackson, Bogalusa, and, mostly in Walthall County, Mississippi, outside of Tylertown. There Louis was raised in a simple rural environment surrounded by older relatives. As a young boy Louis learned from his great aunt Essie Mae Youngblood the rudiments of guitar. She also taught him several of the songs he performs today, including the traditional folk song “Rabbit in a Log” and the Tommy Johnson classic “Bye Bye Blues”. After leaving the Corps Louis returned to Jackson, but often stayed in New Orleans with his grandfather Arzo who had lived there since the early ‘60s. Arzo’s home in the 9th Ward was a gathering place for older blues musicians, including Boogie Bill Webb. Louis didn’t study directly with the older men, but their music was nevertheless influential on the development of his music and repertoire. He occasionally performed in New Orleans with the Jackson-based group Roosevelt Roberts and Sons. Although he never recorded commercially, Louis’ grandfather Arzo was recorded by field researchers David Evans, who was investigating the influence of Tommy Johnson, and Axel Küstner. Recordings of Arzo by Evans appeared on several now out-of-print LPs; several of the recordings made by Küstner are on the Evidence CD boxed set Living Country Blues. In the 1970s Louis began performing in Jackson together with artists including Robert Robinson and Tommy Lee at clubs including Dorsey’s and the Queen of Hearts. Mostly though, he worked as a heavy machinery operator at sites across the country. In the late ‘70s he lived in Miami, where he performed with Bahamians in a calypso band. Throughout the ‘80s and ‘90s Louis performed irregularly in Jackson, and became more active in recent years. In 2003 he played regularly at the E&E Lounge in Jackson with T.C. and the Midnighters. He performed at Monte’s Seafood in Jackson for several years and currently performs at clubs and festivals around the state. In 2008, Youngblood received a Folk Art Fellowship award from the Mississippi Arts Commission and has been a current member of the agency’s Artist Roster. He is also listed on the Commission’s Folk Artist Directory. 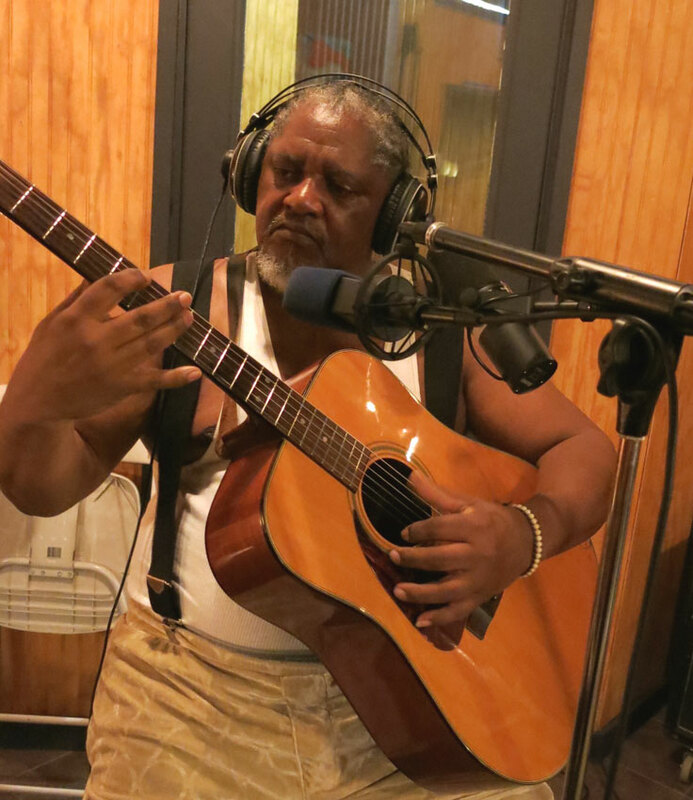 Youngblood was also one of the featured musicians in We Juke Up in Here, the recent documentary film focusing on musicians performing in the remaining juke joints in the Mississippi Delta. His performance in the film (at Red’s Lounge in Clarksdale) has been noted in several of the reviews and his songs on the film soundtrack have been played on Sirius/XM Radio.